Definitely! First, visit your “Analytics” section for your collection. To get there, hover over the collection you’re working on in your Collection Dashboard. A menu arrow should appear in the top right corner. Click on it, and then click on “Analytics”. 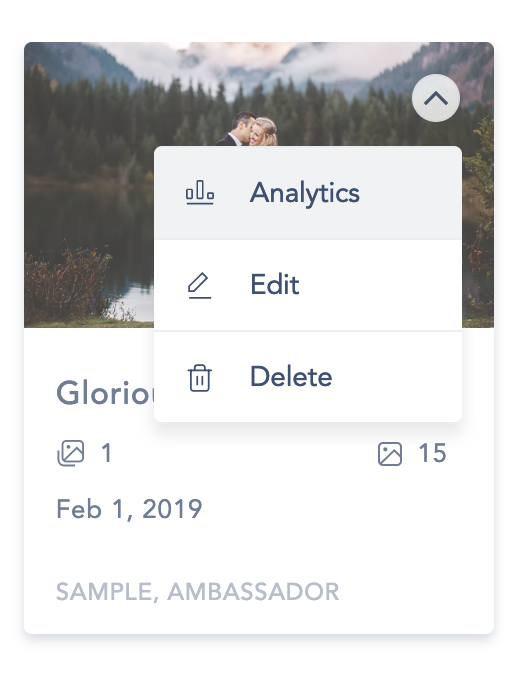 When you are in your Analytics, click on “Favorites” on the left hand side, and then click on the e-mail address of your client under the relevant gallery. Next, click on “Quick Actions” at the top, and then “Download all favorites”. You have now downloaded your client's favorites!